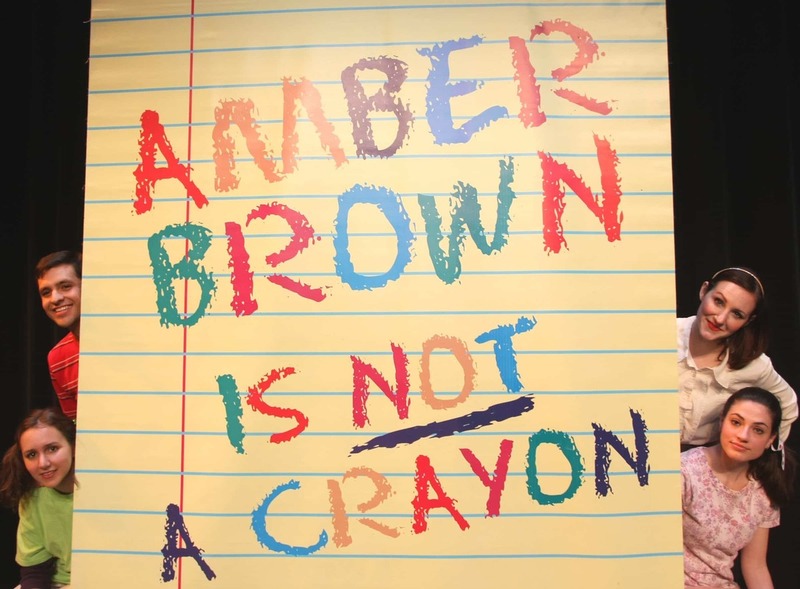 In the eyes of Greg Gunning, ArtsPower’s Artistic Director, Paula Danziger's book Amber Brown Is Not A Crayon plays a crucial dual role: its lighthearted style is very accessible even to youngsters in the second grade, while its frank treatment of divorce and of endangered friendship keeps the attention of older children. What's more, audiences of all ages appreciate the hilariously spot-on dialogue. "It's really the way kids talk," says founding co-director Gary Blackman. 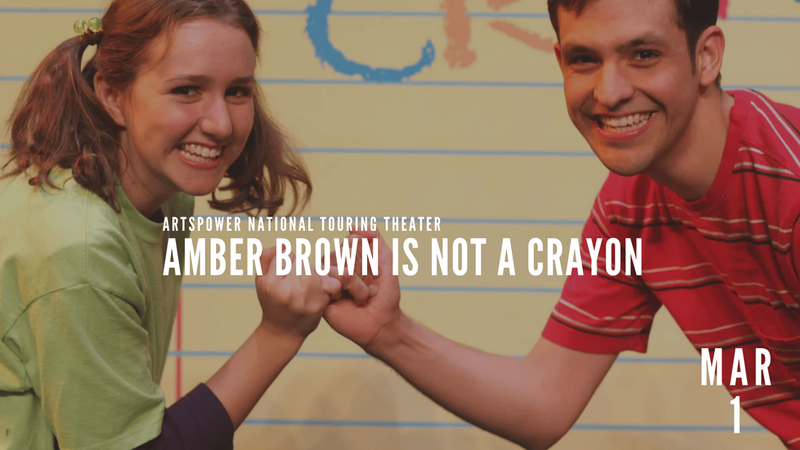 Spunky Amber, for whom Danziger's breezy and effortless writing has already won many fans, seemed a natural choice for the stage. Sadly, Danziger passed away in July of 2004. Her amazing charisma was and is inimitable, but we pay tribute to her in Amber Brown with the character of Mrs. Cohen. This teacher's colorful garb and unfailing good humor were inspired by Amber's much-missed creator. Many of the Amber Brown sets represent interiors (homes and classrooms, for the most part), and scene changes take place through minimal but cleverly detailed alterations. Amber's bedroom is quickly transformed into the bedroom of her best friend Justin Daniels, for example, by flipping the bedspread over to reveal a new pattern and reversing the painted backdrop. Another distinctive touch derives from the props. Amber and Justin save every piece of gum they’ve ever chewed, and their huge gumball -- always a crowd favorite -- is made from many-colored Play-Dough pieces covered in a shiny glaze. These are kids, after all, and Mr. Blackman reminds us with a smile that they are sometimes "supposed to be gross -- there's even a song called 'Gross!'" A bathroom, complete with imaginary alligators, figures prominently in another scene in which the two friends attempt to scare off a potential purchaser of Justin's house. Amber Brown's Broadway-style music, which embraces both moving ballads and upbeat swing numbers, provides an excellent complement to the plot's combination of amusing exchanges and serious themes. One particularly engaging song is the opening number, "Time to Fly," in which Mrs. Cohen has the class take an imaginary trip to China. hopes about the changes to come...yet does not leave her past behind entirely. 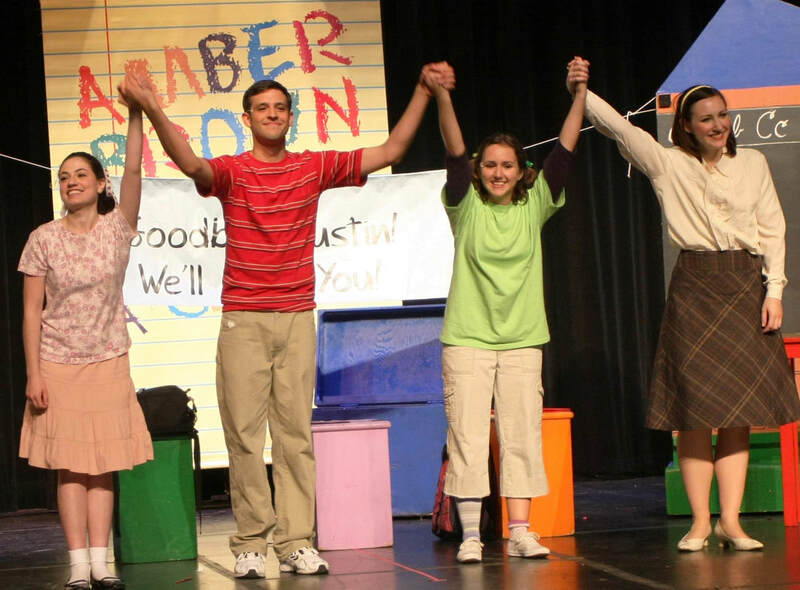 In a way, then, this show is about growing up and still keeping a child's honesty and idealism.